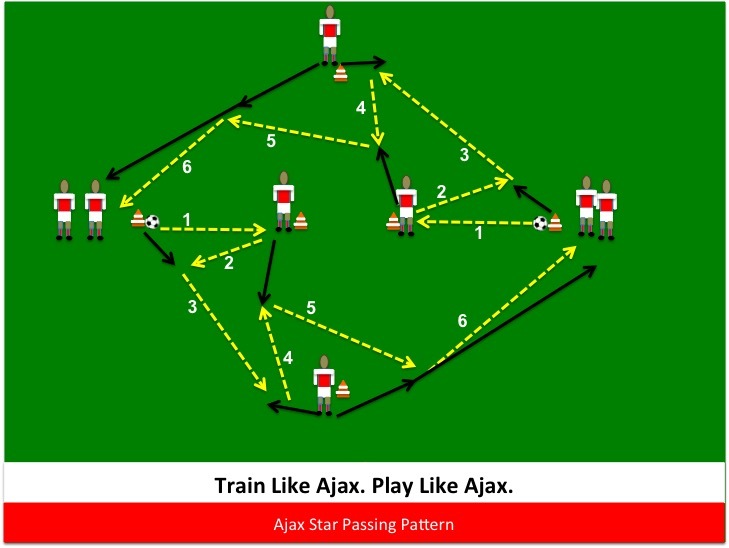 Excellent technical exercise for training passing & receiving. Emphasis put on the following: correct foot passing, inside of foot passing & receiving, eye contact before passing, move off the cone (simulates defender) at the right time, proper weight to the pass (firm passing), establishing a good tempo/rhythm in the passing and the importance of proper body position when receiving the ball. Next Post Don’t Forgot To Teach This When Playing Rondo! This One Key Point Will Change The Way You Coach!